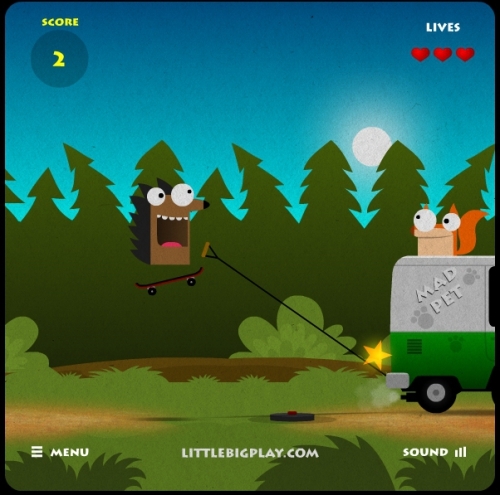 Description New Madpet adventure is here, this time your will have to go on your skateboard through the minefield! Controls LEFT/RIGHT TO MOVE, UP OR SPACEBAR TO JUMP! GET AS FAR AS YOU CAN ON YOUR SKATEBOARD AND WATCH OUT FOR MINES! YOU HAVE 3 LIVES! COLLECT STARS TO GET EXTRA SCORE!